Official reveals the method by which Iran attempts to spread its influence across the Middle East. 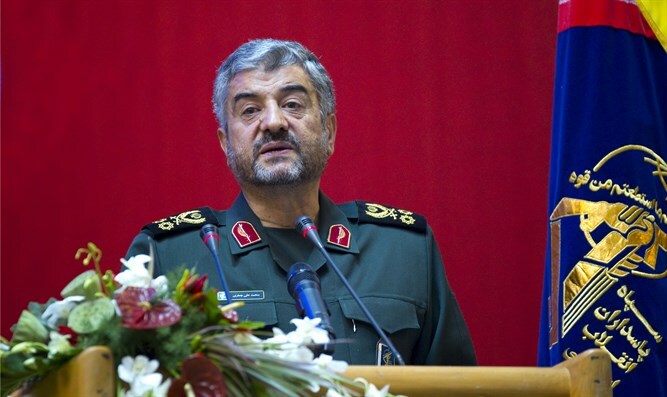 Mohammad Ali Jafari, commander of the Iranian Revolutionary Guard, praised the role of the Basij [a volunteer militia operating under the Revolutionary Guard] as a model that could help other entities in the Middle East. "The Basij is a role model for the 'resistance' of the countries in the region, including Hezbollah in Lebanon, and it is expressed in hundreds of thousands of people who have undergone training in the forces of Al-Hashd Al-Sha'abi [popular forces that fought ISIS in Iraq], in Yemen, and other countries," Jafari said in a speech to the Basij forces in Tehran. Referring to the order of Ayatollah Khomeini, the founder of the Islamic Republic of Iran, to establish Basij forces around the world, Jafari said that "Today, armed cells of resistance have been established in Islamic countries, and small networks of resistance have been created in other countries, and we will see their influence in the future.” According to him, large forces of volunteers have joined the "anti-terror" struggle in Syria. Shiite volunteer forces from Iraq, Lebanon, Afghanistan, and Yemen have been operating in Syria. According to reports earlier this year, Iran's Revolutionary Guard recruited thousands of Afghans, mainly by coercion, to fight in Syria alongside forces loyal to President Bashar al-Assad. Iranian-inspired Shiite terror networks have also been exposed in recent years in Bahrain.